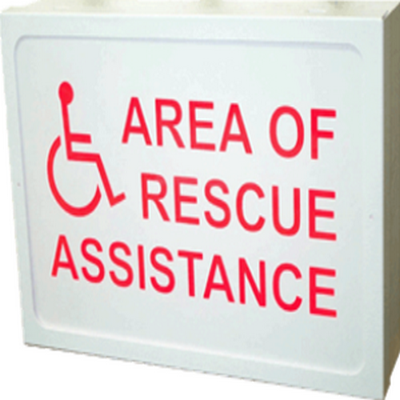 Area of Rescue/Refuge (AOR) Flush Mount Command Unit (model CU-8R) is part of Talkaphone’s total AOR solution that accommodates up to 8 ADA-compliant Area of Rescue/Refuge stations. 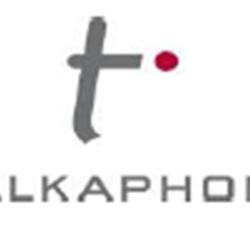 Talkaphone’s complete AOR system is fully compliant with the IBC §1007, ADAG §7, ICC A117.1, and NFPA 72 §24.5.3. 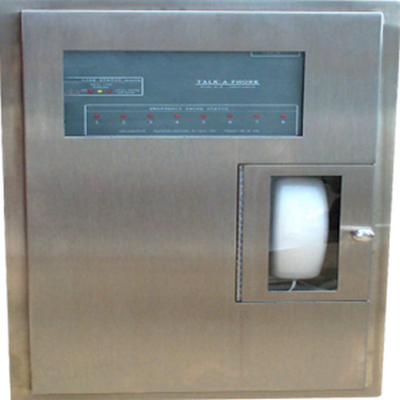 It consists of a Command Unit, a selected number of AOR stations (flush or surface mounted), and AOR signage to accommodate the selected number of AOR stations. The ADA-compliant AOR stations are powered by the Command Unit using one twisted-shielded pair cable from each AOR station to the Command Unit. 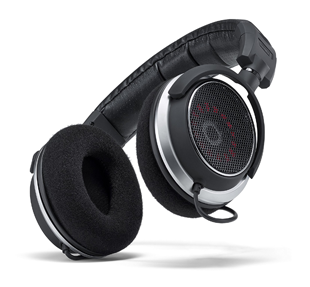 When the user initiates an emergency call from an AOR station, a tone is heard to confirm the call has been placed and an LED light indicates the call has been received. At the same time, the Command Unit’s strobe starts flashing and the siren is initiated. If there are other callers on the line, the Command Unit receives and queues the call. Each queued emergency call is displayed as a flashing red light on the Command Unit, which can be labeled for easy location identification. 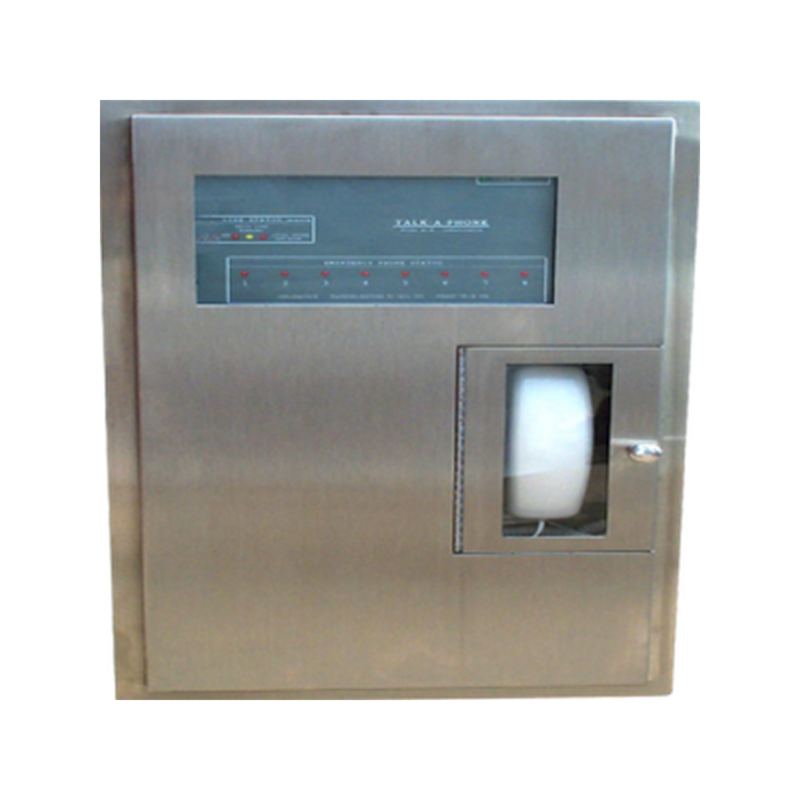 AOR stations can also be programmed to play a location identifier message when a call is answered. An active call is displayed as solid red. The Command Unit’s siren deactivates when the call is answered by local fire personnel. 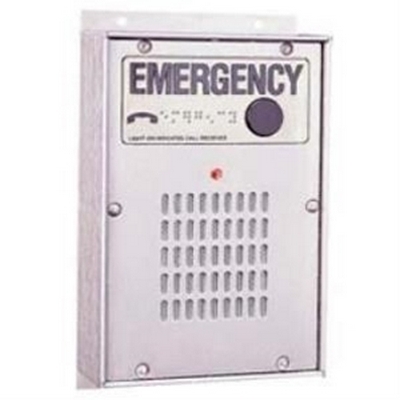 The strobe will deactivate only when all emergency lines have been cleared. 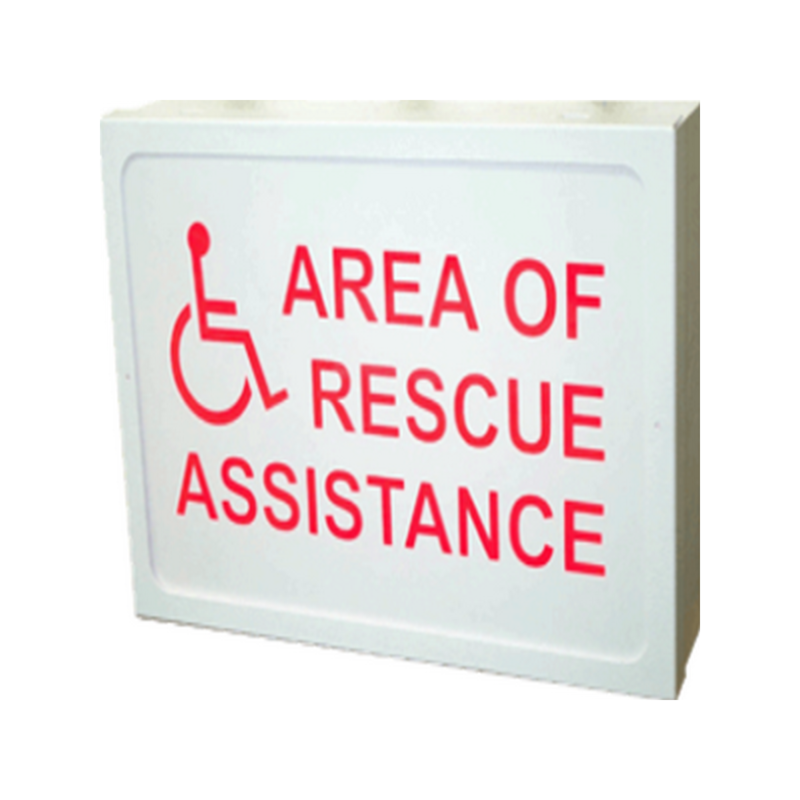 Talk-A-Phone’s ETP-SIGN/L Lighted Sign designates a location as an Area of Rescue Assistance and aids in locating an emergency phone. 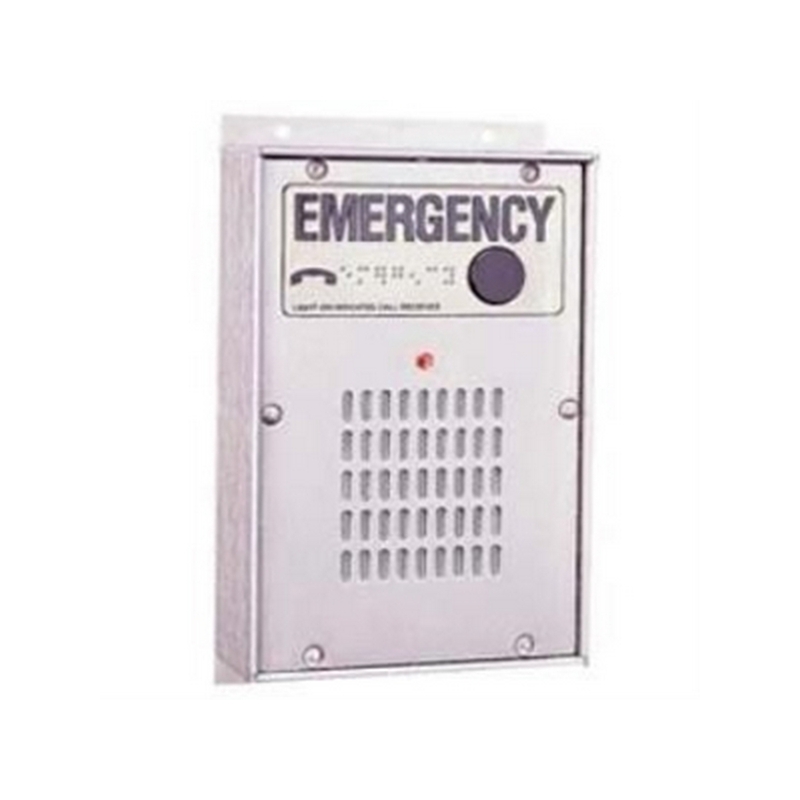 The sign features high intensity red LEDs providing bright and uniform illumination, while offering durability and strength in a 20 gauge steel enclosure.